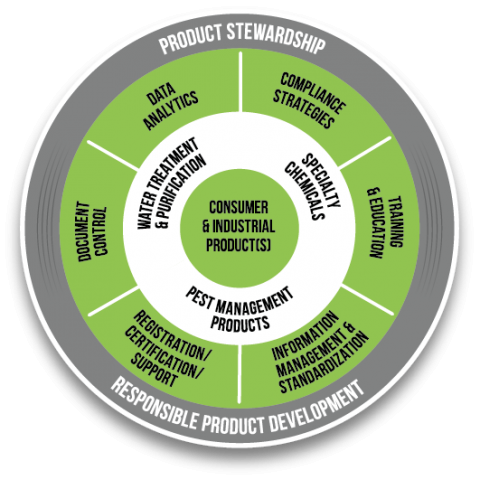 Empowering clients through technical guidance and solutions in product stewardship and responsible product development. To maximize our clients product value in the marketplace through insightful and responsive strategies. How can you not be passionate about helping organizations achieve success? Product Stewardship and Responsible Product Development are management systems that truly allow organizations to grow and expand in a manner that meets the needs of all stakeholders. The defining of health, safety and environmental management practices, in combination with product development and product management systems allows organizations to continuously improve their processes and procedures. Technical preparedness is an essential element for the growth of any organization, and we love that we're in a position to help these organizations prosper. of technical preparedness and certainties that were not present in the pre-existing processes.